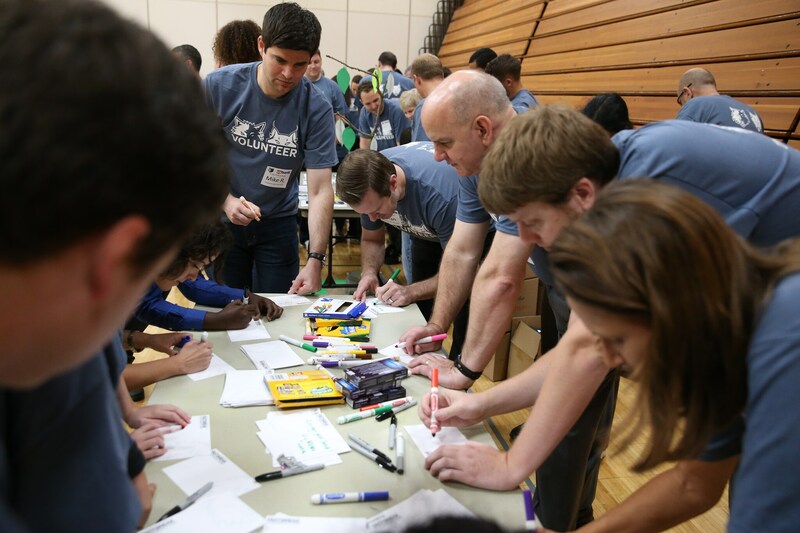 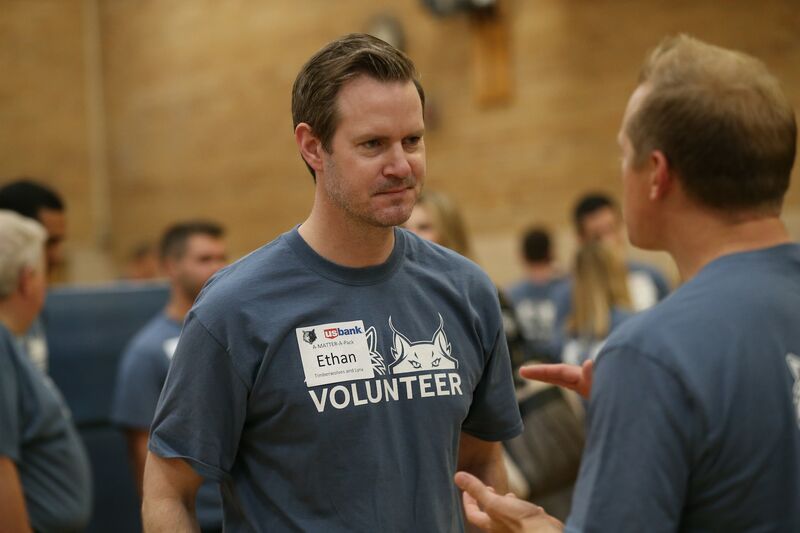 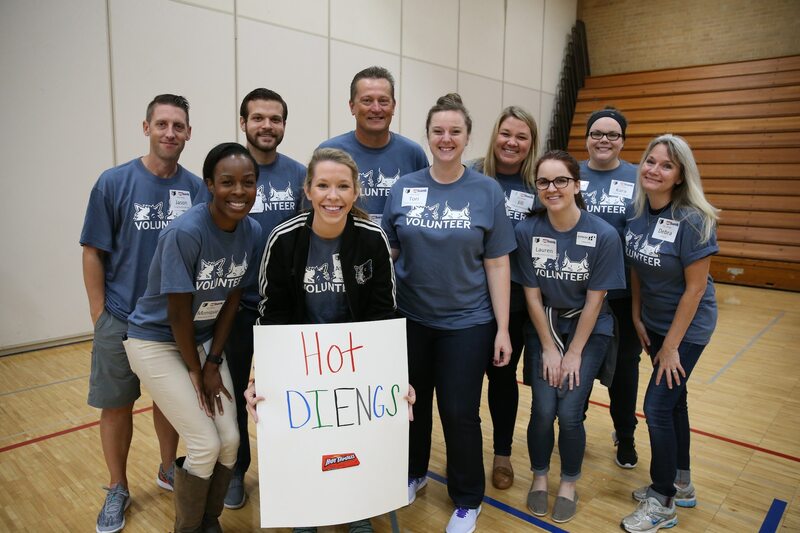 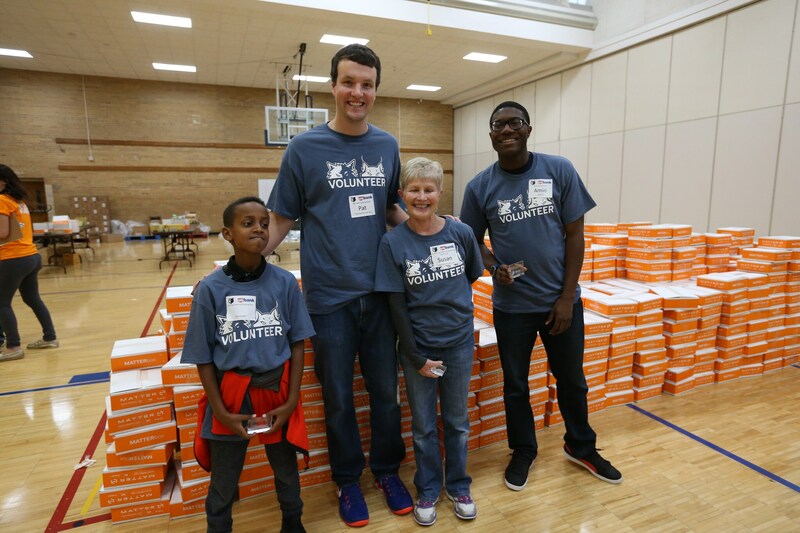 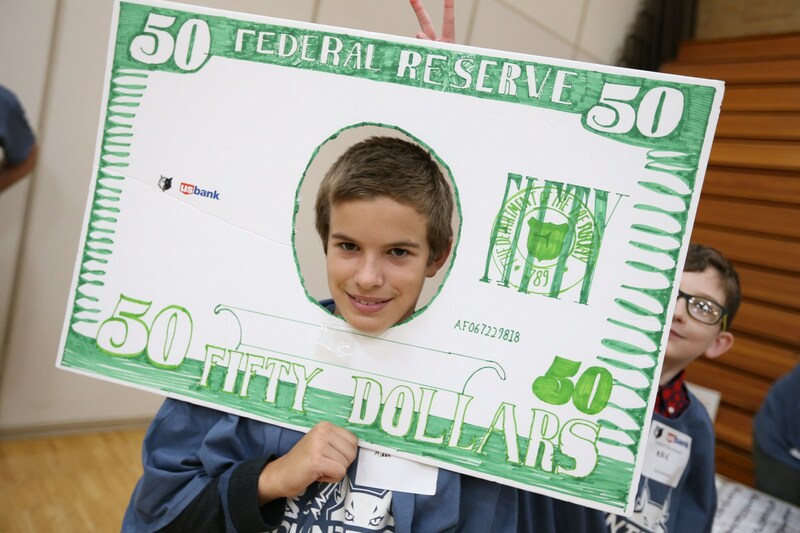 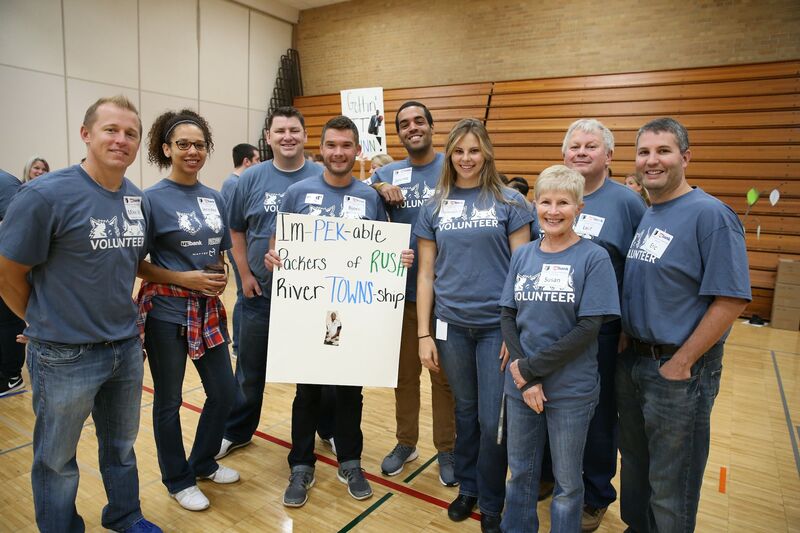 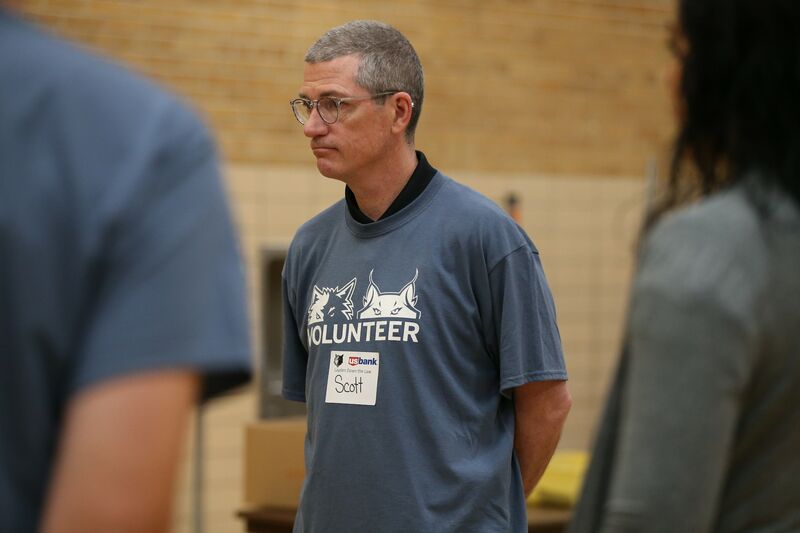 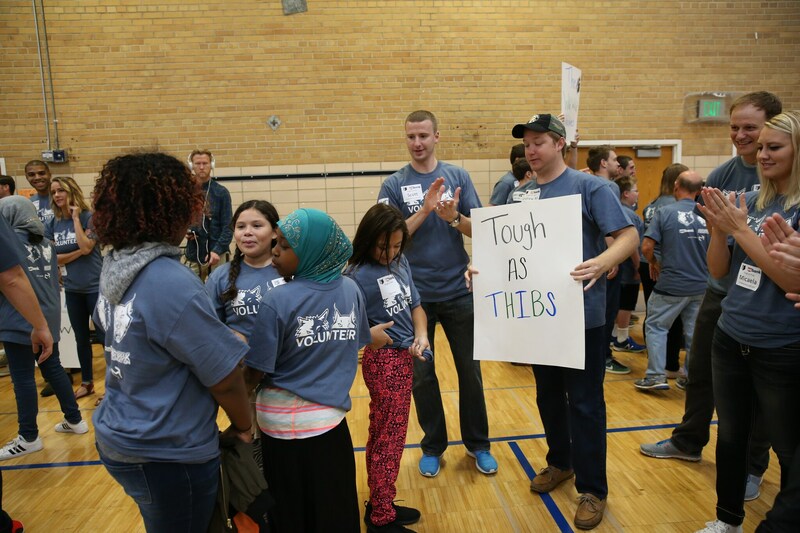 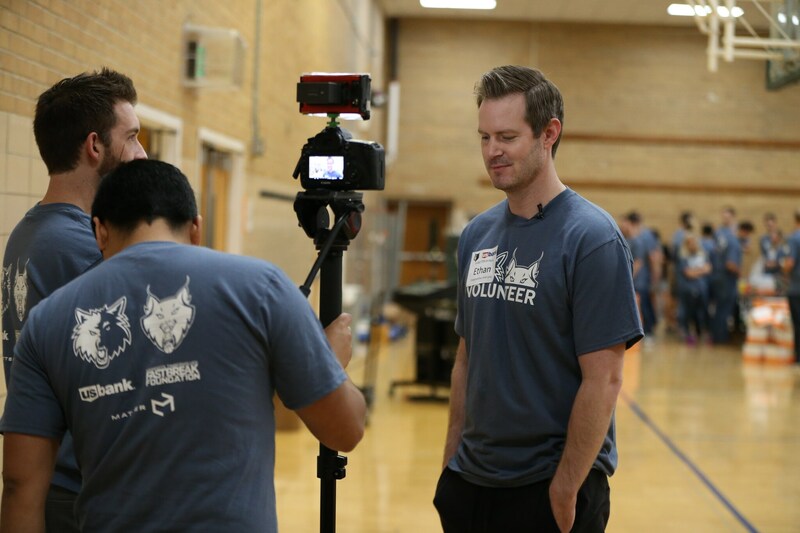 On Wednesday, Sept. 21, the Timberwolves and Lynx partnered with U.S. Bank, MATTER and 40 students for their annual All-Staff Volunteer Day at Eisenhower Elementary in Hopkins, MN. 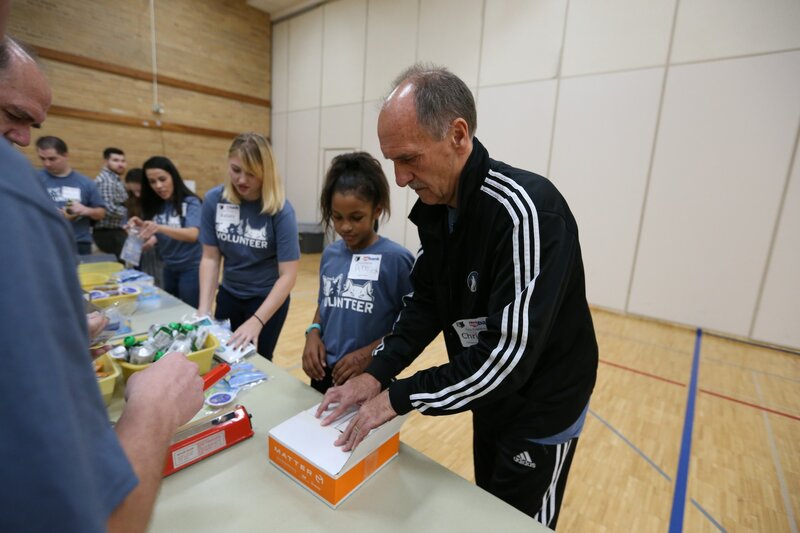 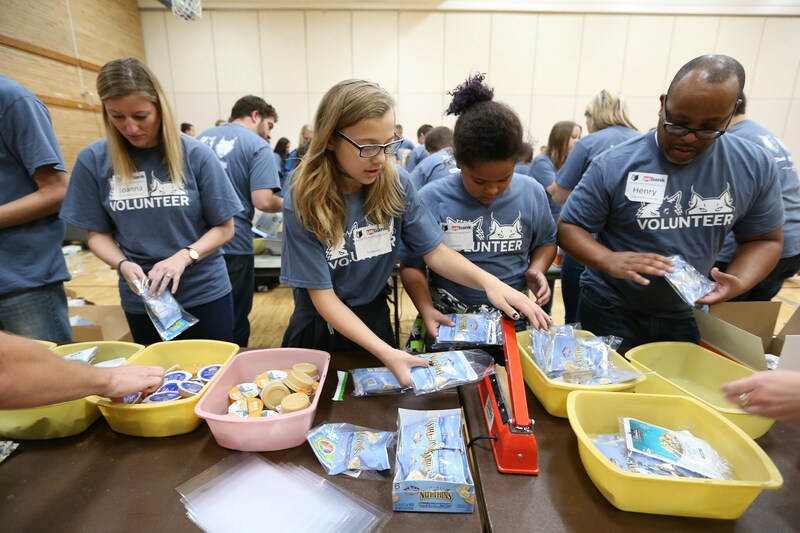 Volunteers spent the morning packing lunches for Minnesota youth who are struggling with homelessness and hunger. 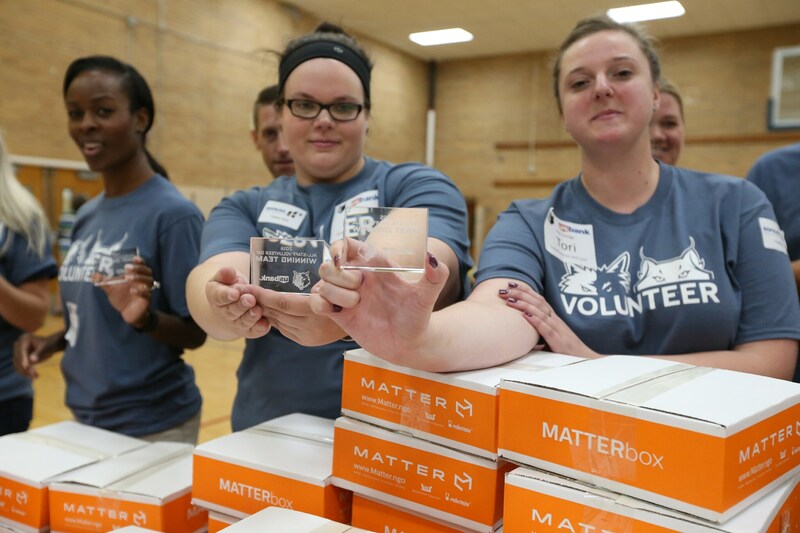 The MATTERbox lunches provide easy, portable options for students whose only guaranteed meal is the school’s hot lunch program. 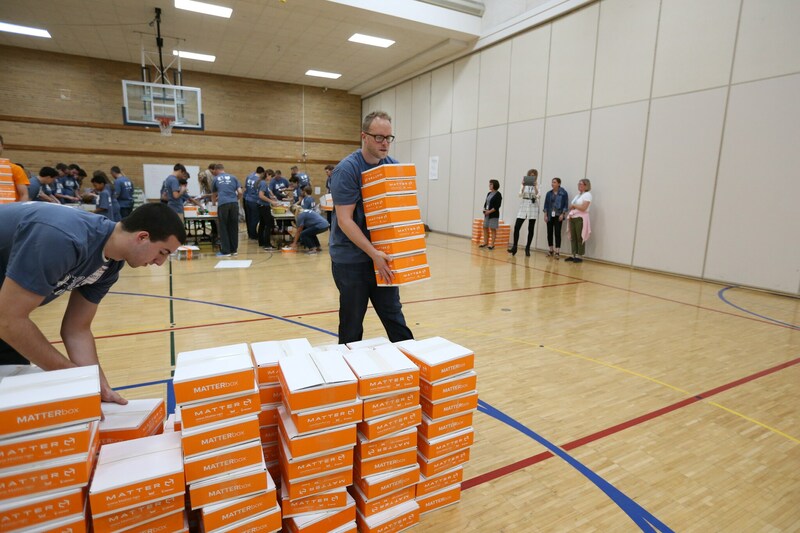 In total, the group packed 933 boxes which is equivalent to 4,655 meals. 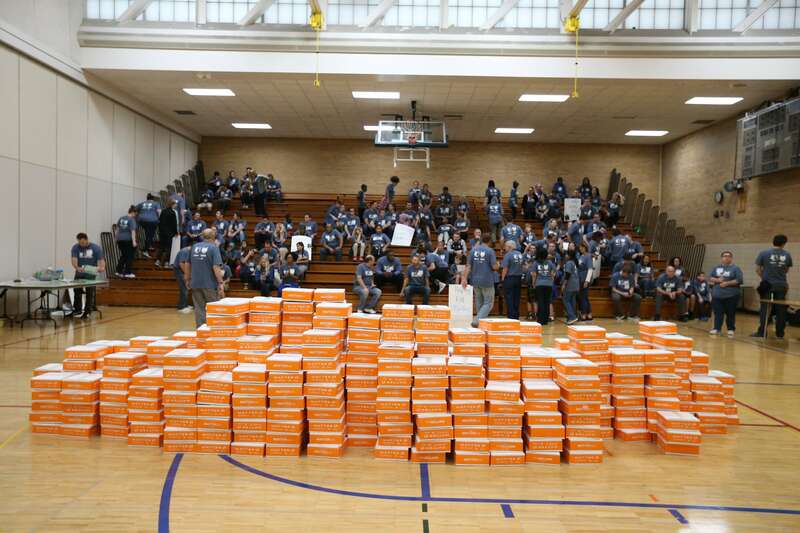 Here are some of the top photos from the event.